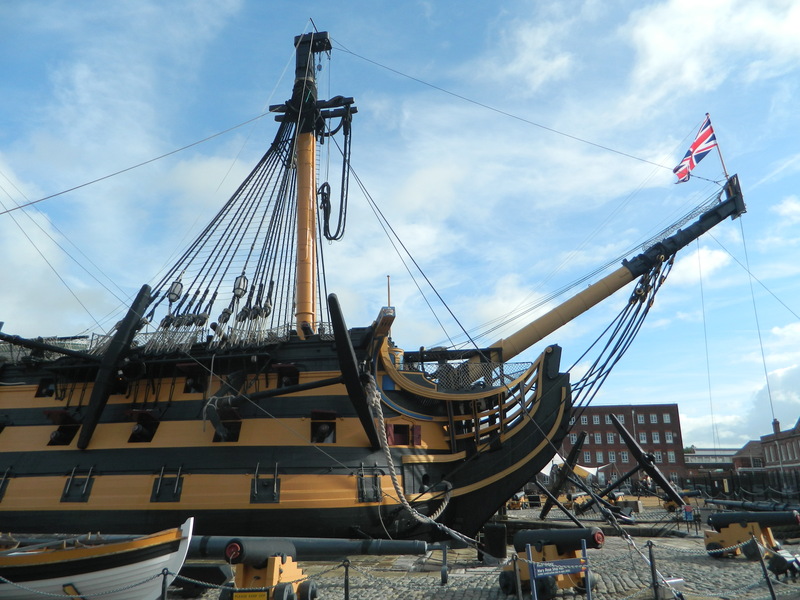 Time Team‘s Phil Harding and senior naval staff met today (28 September) aboard HMS Victory to announce the launch of a new tri-service Defence Archaeology Group. The initiative is an extension of Operation Nightingale, a pioneering rehabilitation project set up by Sgt Diarmaid Walshe of the Royal Army Medical Corps, and Richard Osgood of the Defence Infrastructure Organisation, to help soldiers recovering from wounds suffered in Afghanistan through archaeological investigations at sites on MoD land. This new project will involve members of the Army, Navy, and Airforce. Surgeon Commodore Peter Buxton is the Defence Archaeology Group’s senior officer, and Wessex Archaeology’s Phil Harding has been named as its Honorary President. Speaking at the launch, held in HMS Victory‘s Great Cabin, Phil said: ‘I would like to thank everyone – it is an honour to be part of this. I have been involved with the project from its embryonic days, from when I saw soldiers wallowing around in badgers setts at Chisenbury midden [see CA 265 for more on Operation Nightingale’s first dig], to today. The Second Sea Lord, Vice Admiral Sir Charles Montgomery, was also present to oversee the launch.